How many of you saw last night’s mid-season two finale of Fear the Walking Dead? AMC’s Fear the Walking Dead Mid-Season 2 will premiere on August 21, 2016, at 9:00 pm EST. Check out the official press release below. Press Release: NEW YORK, NY - May 23, 2016 - AMC’s fan favorite original series "Fear the Walking Dead" will return for the second half of season two on Sunday, August 21st at 9:00 p.m. ET/PT, as announced during last night’s "Talking Dead" following the mid-season finale. The second half will consist of eight episodes. The season two opener delivered 8.8 million viewers including 5.7 million adults 25-54 and 5.3 million adults 18-49 in live+3 ratings, solidifying "Fear the Walking Dead" as the #2 show on cable (behind only "The Walking Dead") and the #7 show in all of television - cable and broadcast - among adults 18-49 this television season. 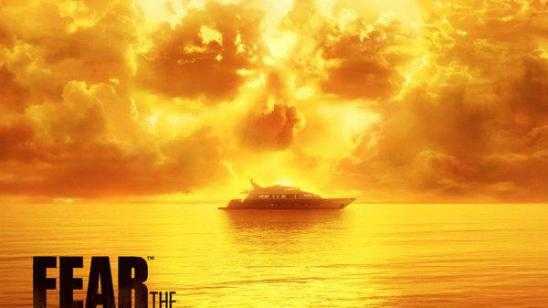 Critics are raving about season two, including David Sims of TheAtlantic.com, who said, "Fear the Walking Dead’s second season manages to maintain the great momentum of the first, even as it transitions to a new arc." As "Fear The Walking Dead" embarks on the second half of season two, the Clark, Manawa and Salazar families fracture. The events that took place at the Abigail compound have set all of our heroes adrift. Now they must forge their own paths to survive. 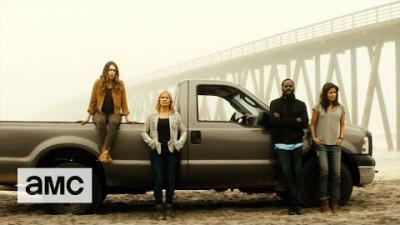 "Fear the Walking Dead" is executive produced by showrunner Dave Erickson, Robert Kirkman, Gale Anne Hurd, Greg Nicotero and David Alpert and stars Kim Dickens as Madison, Cliff Curtis as Travis, Frank Dillane as Nick, Alycia Debnam-Carey as Alicia, Ruben Blades as Daniel, Mercedes Mason as Ofelia, Lorenzo James Henrie as Chris and Colman Domingo as Strand. AMC is home to some of the most popular and acclaimed programs on television. AMC was the first basic cable network to ever win the Emmy(r) Award for Outstanding Drama Series with "Mad Men" in 2008, which then went on to win the coveted award four years in a row, before "Breaking Bad" won it in 2013 and 2014. The network’s series "The Walking Dead" is the highest-rated series in cable history and the number one show on television among adults 18-49 for the last four years. AMC’s other current original drama series include "Better Call Saul," "Hell on Wheels," "Turn: Washington’s Spies," "Halt and Catch Fire," "Humans," "Fear the Walking Dead," "Into the Badlands" and the forthcoming "The Night Manager," "Feed the Beast," "Preacher," "The Son" and "The Terror." AMC also explores authentic worlds and discussion with original shows like "Talking Dead," "The Making of The Mob," "Comic Book Men" and the upcoming "Ride with Norman Reedus" and "The American West." AMC is owned and operated by AMC Networks Inc. and its sister networks include IFC, SundanceTV, BBC America and WE tv. AMC is available across all platforms, including on-air, online, on demand and mobile. Official Synopsis: Spin off series of The Walking Dead that portrays the beginning events of the zombie apocalypse in the West coast during the same time frame when the city of Atlanta was falling under attack, while Rick was in a coma at the local hospital. It shows how the strain was already in full effect in the south while it's just starting in California.